French packaging company RPC Bebo Bouxwiller has been selected to manufacture beer cups for Monaco-based bar and restaurant, La Brasserie de Monaco. RPC Bebo Bouxwiller is manufacturing polypropylene cups that are transparent and thermoformed. 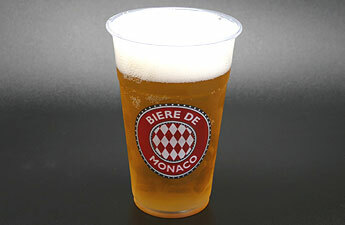 The cups are being used to serve beer including the bar’s most popular brand, Biere de Monaco. Personalised with the brand logo, the RPC Bebo manufactured cups for the bar emulate the image of the F1 Grand Prix’s starting block. The bar and restaurant is known to celebrate several important annual events including the Monaco Formula 1 Grand Prix. According to RPC Bebo, the beer cups come with a slim, elegant design. The cups are claimed to combine convenience and easy handling giving excellent strength and stability. Located at the Route de la Piscine in the Port of Monaco, the bar is regarded as the pioneer behind the growth of luxury beer. earlier this year, RPC Bebo Bouxwiller designed a new tub for French cheese dairy Graindorge’s traditional premium crème fraiche, in a move to deliver fresh look for the product. For this, RPC Bebo created a 750g thermoformed polypropylene tub and lid for premium crème fraiche. The tub is said to have a combination of lightweight and safe handling, and tight-fitting lids that sustain the product’s freshness upon opening. To address convenience of consumers, RPC Bebo had created a tab on the lid to help in easy opening of the tub. The company has seven manufacturing plants in France, Germany, England, the Netherlands and Poland. Besides, it has a distribution centre in Germany and a sales office in France. Image: Beer cup designed by RPC Bebo Bouxwiller. Photo: courtesy of RPC Bebo.